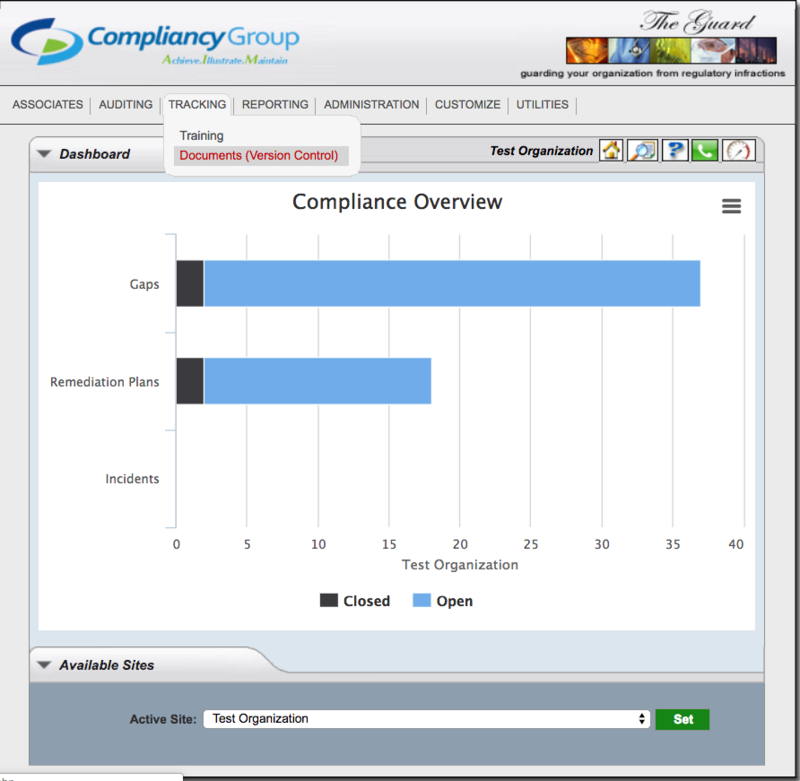 You may upload the rest of the Audits provided to you in your first session by your Compliance Coach within The Guard’s ‘Document Repository.’ This is accessed by hovering over Tracking and Selecting Documents (Version Control). 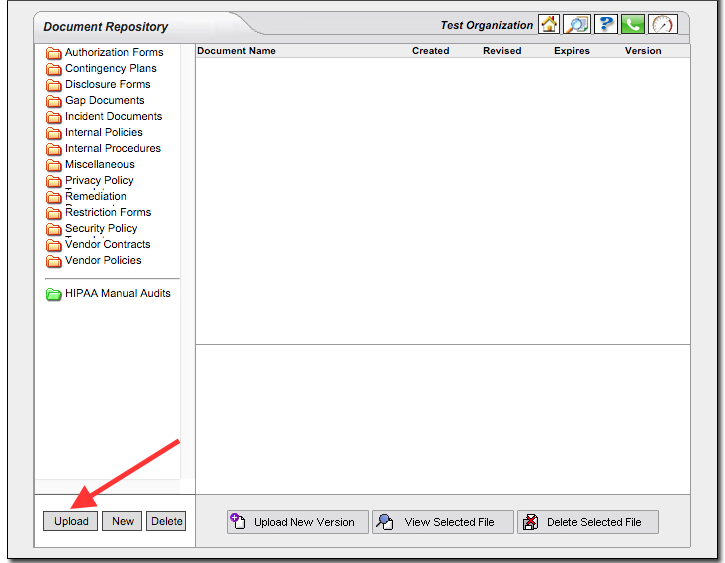 ‘HIPAA Manual Audits’ would be the folder to ensure is highlighted green when within the Document Repository to indicate that it is open. From there, hit Upload in the bottom-left to force the yellow window to appear. At this point, select ‘Choose File’ to locate where the file sits on your computer. The Document Title would be the name of the audit. 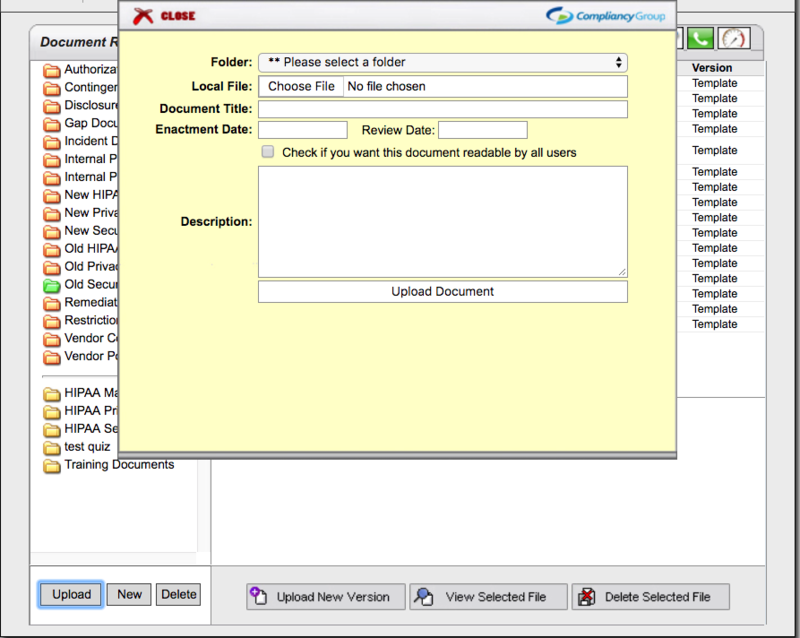 Be sure to copy and paste what you entered into the Document Title field down to Description as well. The Enactment Date is the day the audit is completed. The Review Date is one year following. Ignore the check box and hit ‘Upload Document’.